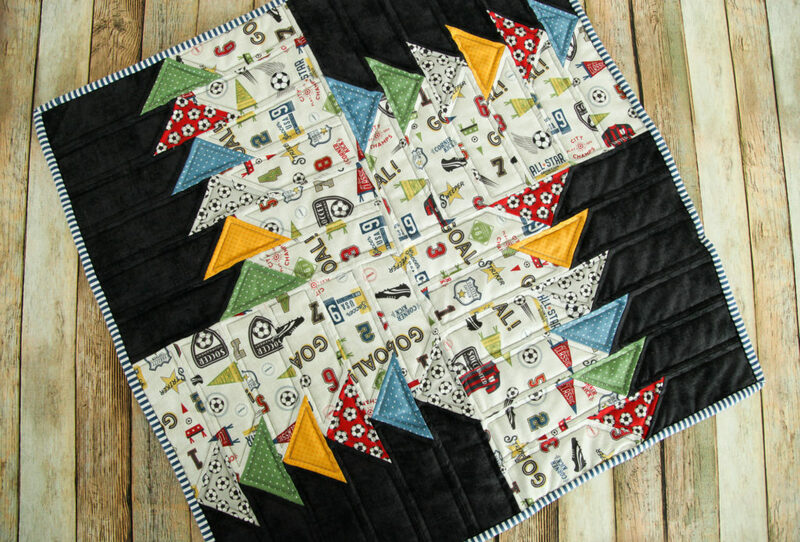 Here at the Riley Blake design office, we can’t get enough of Deena Rutter’s Varsity collection. With so many fun sports to choose from, there is something for everyone! 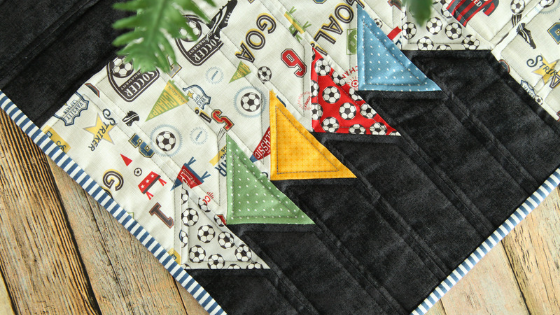 With a son playing high school soccer, Mindy decided to play with the Soccer prints and ended up with this fabulous Flying Geese Mini Quilt. 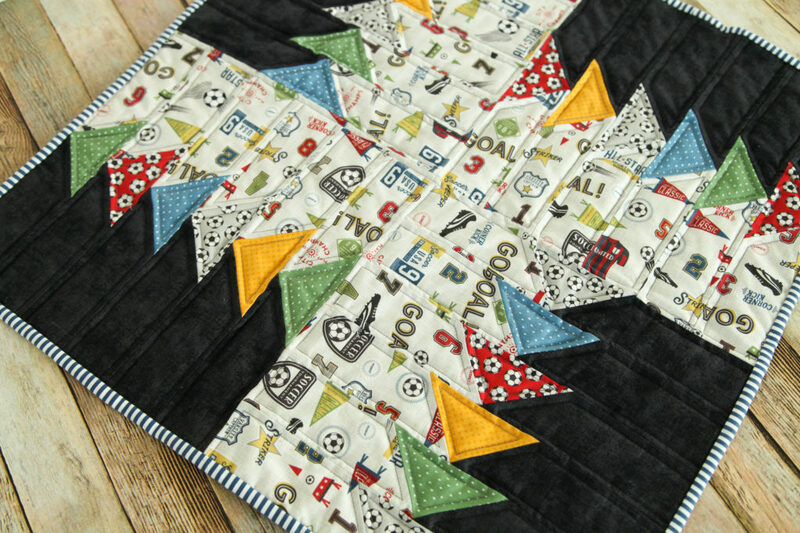 She came up with her own sporty interpretation of this FREE TUTORIAL. The bright colors and busy sports print paired with the bold black really makes this flying geese design POP! 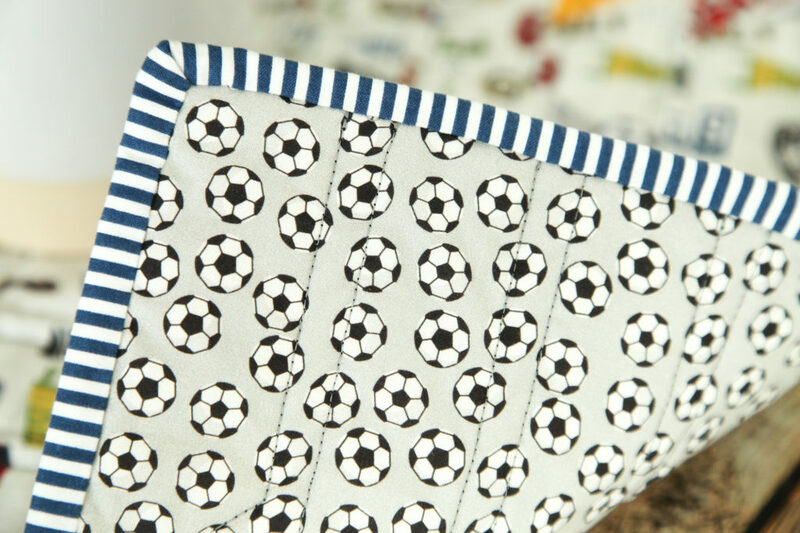 Mindy used the Riley Blake 1/8″ Denim Stripe for the binding, and the cute little soccer ball print for the back. 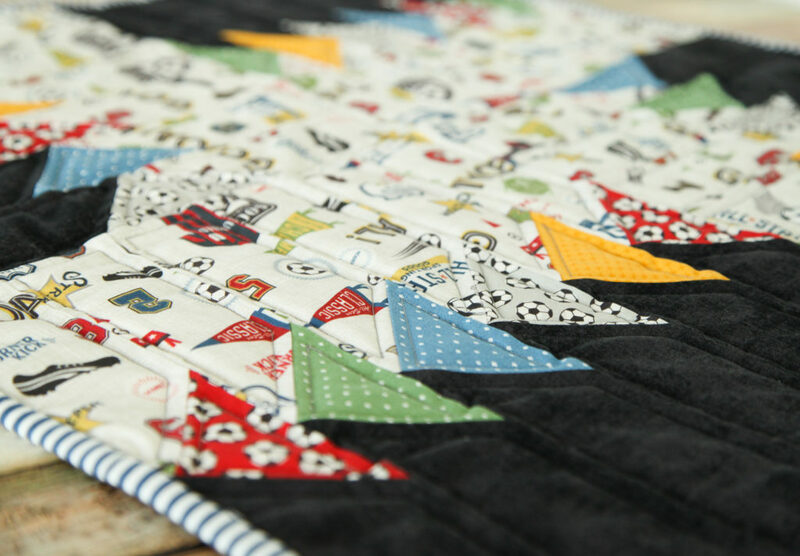 Deena Rutter’s Varsity collection is available now at local and online quilt shops. 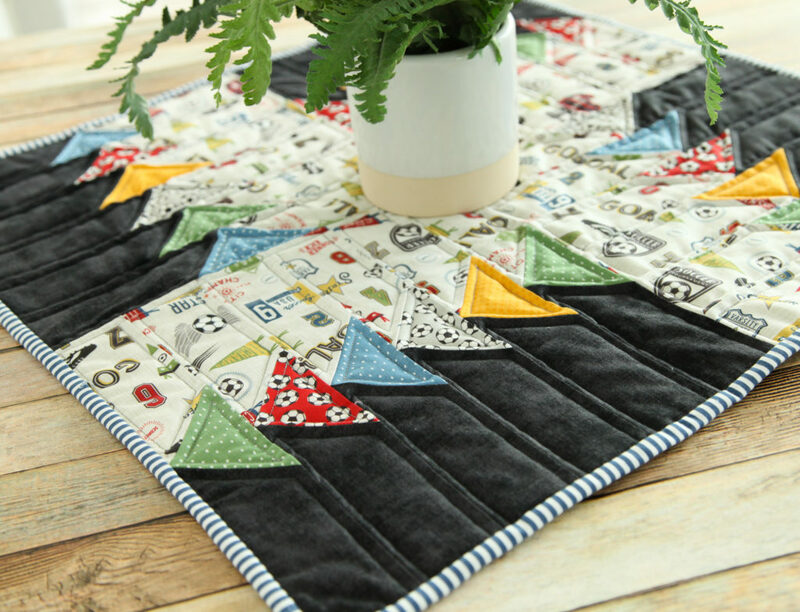 Pick up yours today and share your makes with us on Instagram using #rileyblakedesigns #iloverileyblake #fabricismyfun, and be sure to tag us @rileyblakedesigns.